We’re looking to add new writers and photographers for Garage Music News. Deadline for applications is June 10, 2016. In addition to contributing, you’ll be given feedback on your writing and/or photos, as well as offered an internship with THE GARAGE for your resume. Garage Music News is a way for young writers and photographers with a variety of experience levels to get involved. GMN is a digital and physical zine based out of THE GARAGE and focused on the music important to the all-ages scene. 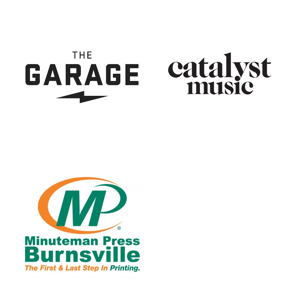 GMN’s contributors have reviewed local albums, interviewed national artists, talked about controversies, created Best Of lists, and covered shows at the THE GARAGE, Triple Rock, Myth, Mill City Nights, First Ave, and more. THE GARAGE and GMN’s incoming Managing Editor, Lizzie Savage, are excited for you to join the team. Find all the position and internship descriptions here.